Pelicans X Anthony Davis, What Now? Rest Of Season Shutdown? It seems like the reports about Pelicans General Manager Dell Demps not picking up his phone turned out to be true. The trade deadline has passed and Anthony Davis still is a New Orleans Pelican, even though he clearly stated that he doesn’t want to be in New Orleans. The Pelicans even have already removed Davis from their intro video. But what now? 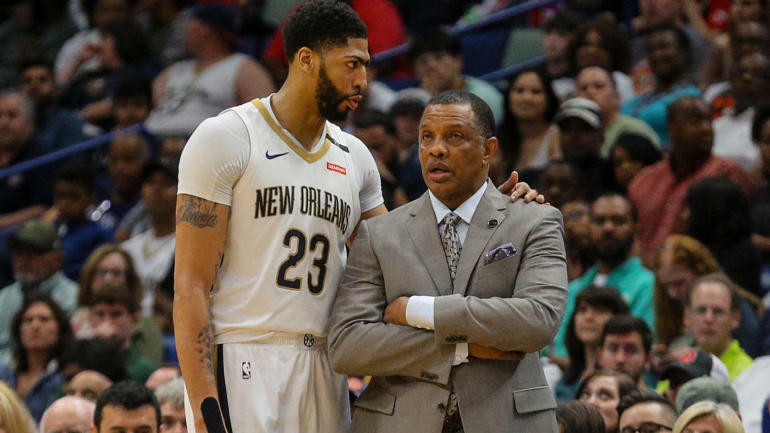 The Pelicans have previously considered sitting Davis out for the remainder of the season, if no trade were to happen. Are they really going to do that though? If they decided to sit Davis, there will be major ramifications and fines for the franchise from the Commissioner’s office, due to a recent rule change that forbids franchies to shut down a healthy player for the rest of the season. It doesn’t say how often a player has to play though, so it could be that Davis will become an end-of-rotation bench player for the rest of the season, who plays limited minutes. It’s still a huge risk for the team. Davis is know to be injury prone, and has never played 82 games in a season. If Davis were to get hurt, the Pelicans would be in big trouble.